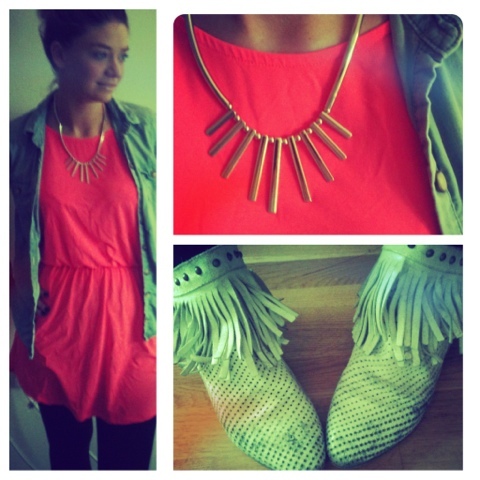 Neon pink dress from H&M with a denim Topshop shirt and white River Island boots- added a silver necklace from H&M. Purchase of the day. . .
What I wore today . . .